After 3 months of training, five teams vied for the $3,000 prize up for grabs at the second SmartSpark Pitching Night on 14 March. 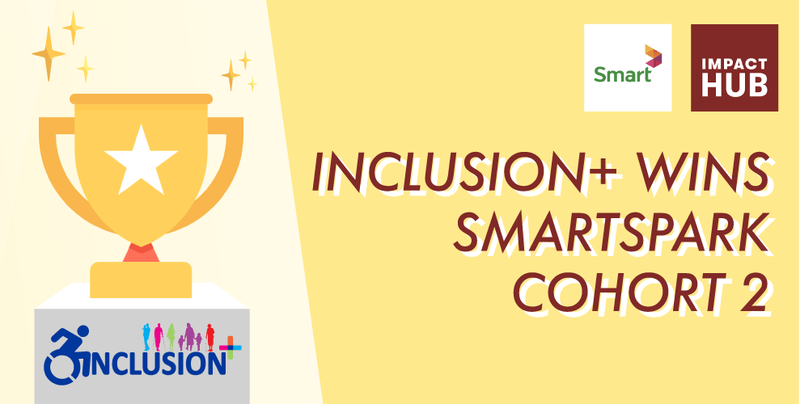 Inclusion+, V4Women, HouseMe, SistersDream and Aspire all gave polished and passionate pitches, and well done to the Inclusion+ team for winning with their idea of a one-stop platform allowing individuals with disabilities to access employment opportunities. Their idea sees the profiles of individuals with disabilities linked with potential employers, which will then allows employers to choose suitable candidates for the roles. Inclusion+ aims to also promote better integration in Cambodia with targeted inspiration, self-development and training as needed. Founders Sok Chanchamnap and Kuy Chheng Treng have 10 years of experience as Disability Inclusion Experts, with Chheng herself living with polio since she was eight months old. Inspired and passionate, they are ready to engage with stakeholders to foster a more inclusive workforce in Cambodia. “I understand the challenges that people with disabilities face on a daily basis in Cambodia. This is what led me to be an advocate for disability rights for over 10 years, and why I am passionate about bridging the gap between accessibility and entering the job market. I am so proud to win this competition that will allow us to kickstart our entrepreneurial dream,” noted Chheng. They plan to have a working solution ready in the next six months, and the pitching prize money will surely help. The second Smartspark Cohort addressed inequality in Cambodia, tackling the Sustainable Development Goals (SDGs) of SDG 4: Quality Education, SDG 5: Gender Equality and SDG 10: Reduced Inequality. The SmartSpark programme was launched August last year by Smart Axiata and Impact Hub Phnom Penh, and is designed to develop social enterprises and incubate ideas that can tackle the United Nations’ 17 SDGs. Projected to continue for nine cohorts over a span of three years, 54 fresh startup ideas are expected to be developed for the improvement of Cambodia and the region at large. All pitching teams were invited to be part of Impact Hub’s alumni program, the Hub Entrepreneurs Club, where they will continue to be supported with mentoring, masterclasses and access to a network of innovators and leaders. Applications for the next SmartSpark Cohort open on 21 May, tackling the themes of SDG 7: Affordable and Clean Energy, SDG 13: Climate Change, SDG 14: Life Below Water and SDG 15: Life on Land. If you wish to be part of the next SmartSpark Cohort, stay tuned for more information on the Smart for Cambodia Facebook page.